Black & White Sunday ~ Uh-Oh! What do you mean Santa Paws saw me digging through the garbage can?? I was only trying to help by taking the garbage out, honest! 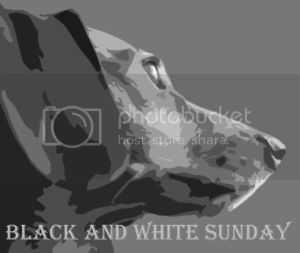 Stop by Dachshund Nola’s blog for more Black & White Sunday. Also don’t forget that there are over 10 giveaways for pets going on right now on Pet Blogs United. Click the Holiday Happenings button below to take a look at all of the great prizes. With a look like that, we know you were just trying to help, how could someone with that look be doing bad. For your good help, we bet Santa brings you something special! Don’t worry over much about Santa…there’s still lots of time yet to make up for your…um…garbage mishap! Love those ears!!! Ah, don’t worry about it! You are too cute to be in trouble! WE are SURE that Santa Paws will UNDERSTAND.. that you were just CHECKING to be sure none of the RECYCLE thingys were missed… accidently. He will KNOW that you are just pawtecting the environment. Oh no! The garbage! Happy Sunday! It’s okay, Oskar. We think you will be okay if you are on your best behavior from now until Christmas! Ruh Roe. Well, do what I do Oskar….blame the SQUIRRELS!! Should work gangbusters in this case! If you were helping Santa then it goes on the “nice” list for him! Georgia Little Pea recently posted..That’s life. You nearly look like a scottie there. 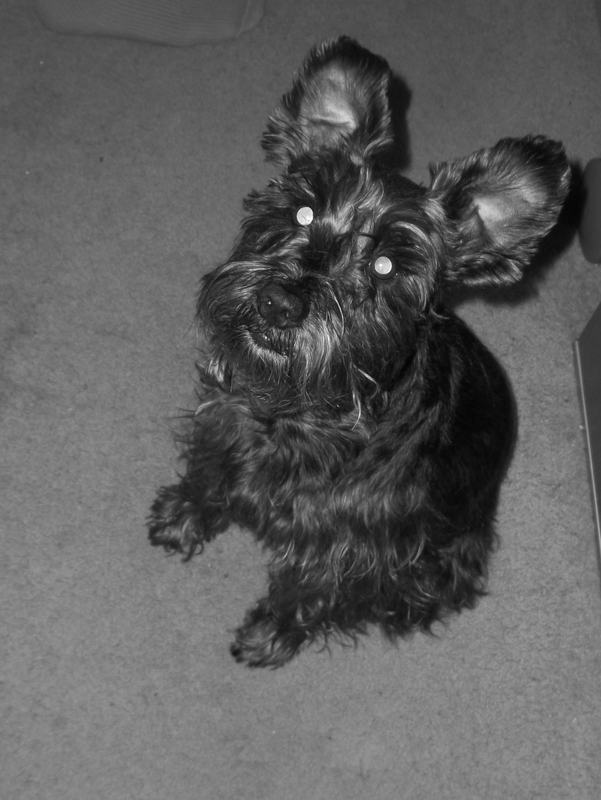 A demented looking one, but still a scottie. We’re sure Santa Paws understands! Santa will br proud of you for helping! That Santa sees everything. Be on your best behavior Oskar. we know, you heard a Monster in there! REALLY!!! You know that song that says “he knows if you’ve been bad or good”? Well, we think he will understand that you really were just helping, Oskar. Super duper pic of you, gotta love those ears. U were tryin to help ur hoomins. It’s okay. I would stick with that story, for sure. Don’t worry, we got your back on this one. But your eyes are looking a bit freaky!! It’s only December 2nd, Oskar. Hopefully Santa will forget this little oppsie! I believe you Oskar. A good looking dog like you would never be up to anything naughty. Oskar your lasers are on high beam! Digging up the garbage? We hope that Santa has a short memory (which we think he does cause he makes lists). It’s called recycling, right Oskar…..GOOD DOG!! Oh! Me LOVES that picture! Yous has exactly the same look on your face as my hairy slobbery sister Cinnamon does when she gets caught doing something she KNOWS she is not supposed to do! Penelope recently posted..Mes gots all my Stars!!! Oh course you were only helping, you’re a helpful boy! You have an even better innocent look than I do!! We’ll be sure to check the holiday happenings. Don’t worry, he’ll forget by the time Christmas is finally here! I called Santa this morning and got it all taken care of….he understood and you are on the nice list again…. Surely Santa can see that you are innocent? Man…you gotta be careful…we here Santa has Webcams ALL OVER da place. Dory and Mama recently posted..Around the ‘hood – Christmas-time is here!! !